which according to me isn't reasonable. I discussed about it mwith my teacher but I'm not satisfied with his answer. 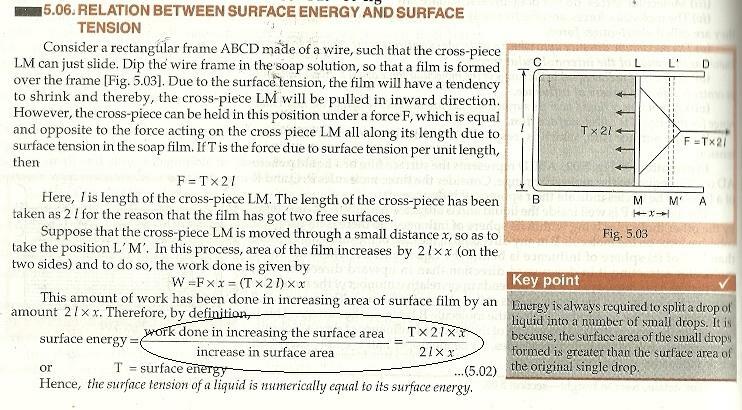 increase in surface area should be = lx. In this question there are two surfaces of the soap film. The increase in the area of the soap film=lx+lx=2lx.